Los Angeles was easily rock n' roll central in the 1980's. Most of the music that was made famous by talented artists was born in the City of Angels. All kinds of different styled musicians caught the ultra creative buzz in LA and had enough natural stage presence and charm to score a major record deal. Enter Tracii Guns into this musical mix. Tracii started his musical journey in LA in the late 70's as a teenager. He honed his guitar playing chops in the clubs and became a sought after musician by the mid 80's. He met a man named Bill Bailey around that time and formed a band called Guns N' Roses. After Axl Rose (Bailey) pulled his now usual inter band power plays,Tracii split the group and quickly formed L.A. Guns. Glad he did. I first heard L.A.Guns in 1988,in the middle of Guns N' Roses historic ride to the top of the rock heap. I quickly dismissed LA Guns as a record company influenced rip off of GNR. But as I got to hear the rest of the debut LAG album,my initial scorn to turned to fandom. This album rocked. Hard. It's punky,street level rock with tons of heart and talent. The songs still sound great blasting out of my car. The band had some commercial success in the late 80's to early 90's. I saw them in 1991 at the Limelight NYC during their Hollywood Vampires tour. I could kind of tell that night that the band was wearing thin and their style of rock was being phased out. It was time for the Grunge rock takeover of the early 90's.And L.A. Guns have never been quite the same. Tons of band members would come and go. And the albums weren't very good. Fast forward to 2002. The world has changed due to 9/11/01. But L.A.Guns somehow manage to release an all time classic cd called Waking The Dead. Tracii Guns and singer Phil Lewis wrote one hell of an album. Things were looking good for them. 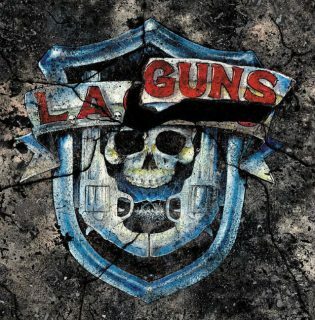 But more band members (Tracii Guns) leave the band and it's back to mediocrity with L.A.Guns for the next 14 years. It's 2017,and Tracii Guns and Phil Lewis are back together making new music with L.A.Guns. And the lead track on their upcoming album The Missing Peace is called Speed. And it rips skulls. Rock N' Roll it is. Done right. By men who live and breathe it. Amen.